ShopWe Love Canadian HistoryHawker Hurricane – SOLD OUT – More will be produced. 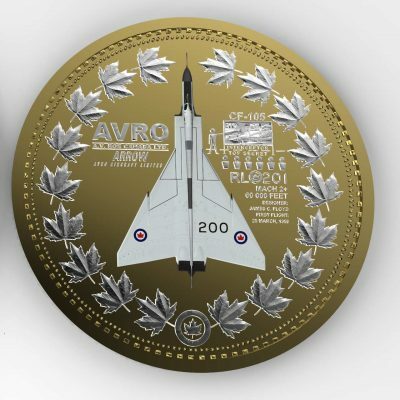 It gives us great honour and pleasure to showcase our coin dedicated to the Hawker Hurricane and the pilots, ground crew and team which flew this noble warbird. We cannot begin to convey the immense amount of work that has gone into this lovely coin. May it serve to recognize those who have served in the contribution to Canada’s contribution to the Battle of Britain. SKU: Hawker Hurricane - 100Collection-002.